Not since 1860 have the Democrats so fanatically refused to accept the result of a free election. That year, their target was Lincoln. They smeared him. They went to war to defeat him. In the end, they assassinated him. Now the target of the Democrats is President Trump and his supporters. The Left calls them racists, white supremacists and fascists. These charges are used to justify driving Trump from office and discrediting the right “by any means necessary.” But which is the party of the slave plantation? Which is the party that invented white supremacy? Which is the party that praised fascist dictators and shaped their genocidal policies and was in turn praised by them? Moreover, which is the party of racism today? Is fascism now institutionally embodied on the right or on the left? Through stunning historical recreations and a searching examination of fascism and white supremacy, Death of a Nation cuts through progressive big lies to expose hidden history and explosive truths. Lincoln united his party and saved America from the Democrats for the first time. 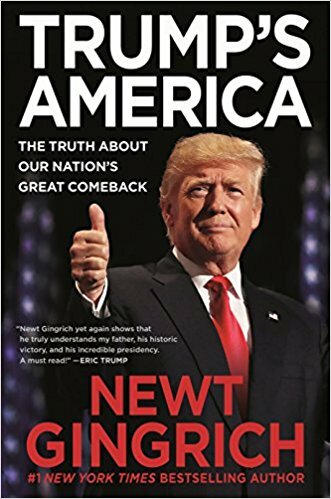 Can Trump and we come together and save America for the second time? Vote & Pray For Revival In America! Go to the “Accreditation” tab on the left to learn more about what this means for you. We hope you’ll make SWFBI your Bible Institute! Mark Twain (Samuel Clemens) said in his typically sardonic way: “Having spent considerable time with good people, I can understand why Jesus liked to be with the tax collectors and sinners.” There is a “goodness” that is not good and a “righteousness” that is not right. by Gary Inrig / Discovery House / 1991 / page 30. You have a huge mouth! Please be nice. I can growl louder than you! Hi, I’m James Sundquist, founder and director of EAGLE MASTERWORKS PRODUCTIONS, has written and/or produced the words and music for several network commercials, one internationally released sound track for a film, and four nationally released recordings. James’s network commercials include: several Mattel Toy spots; Woodsy Owl Give A Hoot, (“Keep America Clean” Campaign Public Service Announcement, for the Department of Agriculture at Ogilvy & Mather Advertising); Stretch & Sew Fabrics; and Your Local Church Welcomes You, for the National Episcopal Foundation. Purpose Driven Life is “the bestselling non-fiction hardback book in history”. Jerry A. Johnson may very well now be a member or attendee of one of your churches in Virginia. He knows about this, but to date and to my knowledge, he has not warned anyone or sent out an NRB Alert to his members. I entreat you to read this investigation to establish and verify whether or not this claim can be substantiated. I have attached for you the Bestselling Books in History Ranking Chart. The above claim by Rick Warren and Zondervan was attributed to Publishers Weekly. I have learned from a long-time SBC Pastor that even Christians that are concerned about Rick Warren’s teachings and programs are afraid to oppose or expose him. So I invite you to read this article why remaining SILENCE IS NOT GOLDEN: Spiritual Formation Movement (Scroll down about half way until you see my name). “Have nothing to do with the fruitless deeds of darkness, but rather expose them.” Ephesians 5:11 (NIV Zondervan’s own Bible Translation). Therefore, I exhort you that if Rick Warren is your pastor, or you are a member of a Purpose Driven Church, then it is you that better find another church that does not preach another gospel! “Come out from among them and be ye separate.” And if you are truly a fake Christian why would Rick Warren send you off to another church to poison its members? So if Rick Warren really has reached 197 nations with his Global Peace Plan, then he and his publisher Zondervan could have currently achieved the dubious honor of having spread more fake news than any Christian author and publisher in modern history. So the question remains, who is really the Fake Christian pastor/author that we should flee? And who is the real Fake Christian Publisher we should reject? “Fake news” by Zondervan and Warren should be an oxymoron because we champion TRUTH, because Jesus Christ is the Way the TRUTH and the Life, it separates us from all other religions. The aforementioned books written by James Sundquist, can be found elsewhere on this blog/website, located under the category “The Emerging Church.” The books can be read in their entirety, in digital online format, for absolutely no charge. The state of California is close to passing a law that would use consumer protection regulations to control the information presented by churches under the guise of protecting Californians from fraud. Bill AB 2943, which has passed several rounds of committee votes and amendments as well as the assembly and will be voted on by the state senate on June 25th, would specifically ban any religious organization from providing assistance to those struggling with gender identity. The law cites the American Psychiatric Association, as well as several other organizations, to claim that there is no evidence that adults can change their gender orientation and that attempts to do so may be harmful. The law argues that since there is no evidence that the services offered by the church are effective, then charging individuals for such therapy amounts to fraud. In doing so, they have plunged the state deeply into issues of sexuality, individual freedom to choose and religious liberty. The law would ban anyone from offering sexual orientation change services or the materials, print or otherwise, in conjunction with such services. While this is not likely to result in the banning of Bibles, a strict reading of the law would allow for such a ban the moment one is used to counsel someone on God’s plan for sexual morality. Luis Javier Ruiz, a survivor of the 2016 massacre at The Pulse, a gay night club in Orlando, has joined the voices speaking out against this law. Following the tragedy, Ruiz left behind a life of homosexual hedonism with the help of God’s Word, but he is worried that others will be prevented from getting the same help. 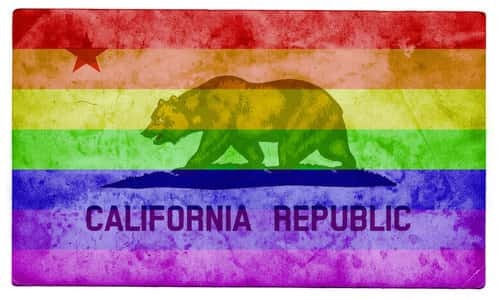 “If they pass that bill in California, it will take away the rights of counselors, pastors and people that want to give you guidance on coming out of homosexuality.” he told The Christian Post. “I came to Christ through the Word of God. I came to Christ over Godly counsel, pastors, people prayed me through,” and he fears that this law will prevent others from getting the same help he did. Several young adult conferences have already been canceled in California, such as those held by Summit Ministries, out of fear for how they may be attacked legally for teaching the Bible, and ministries across the state are now afraid that sermons from the pulpit may open them up to lawsuits, discrimination and smear campaigns. Domen sees the bill as the government “controlling how we identify sexually,” and far from protecting the rights of the LGBT community is instead cutting off their right to choose; to decide to seek the help of the Church and of God. These are men and women who have experienced the misery and confusion surrounding issues of sexual identity and come to the other side with the help of the Church and of God and they know firsthand the harm this bill will do to Californians. Shouldn’t we listen to those who have benefited from the efforts of dedicated pastors and Christian counselors and allow individuals to make their own decisions? Leave it to the government of California to legislate what religious and sexual beliefs are valid and which are forbidden. In support of the freedom to follow their own beliefs, a series of demonstrations called Freedom Marches is being organized as a gathering together of those who have put aside homosexual and transgender lifestyles. Luis Javier Ruiz was in attendance in Washington D.C. near the Washington monument at the first march and began by asking those in the LGBT lifestyle to come back, come back to the church and back to God through repentance of a lifestyle that is not God’s best for them. May you who are already saved meditate upon [Hell] in its practical, personal bearings until your heart is so burdened by the awful peril of the wicked that you will rush out to spend the last dollar, if need be, and the last ounce of strength in saving those imperiled men from the certain, awful Hell of conscious agony and shame to which they are fast hurrying. People don’t miss church because they live too far from the building but because they live too far from God. One way in which a Christian shows what he is, is by what he does with what he has. In 2015, the American Renewal Project hosted pastors and pews events preparing for the first four presidential primaries in 2016: Iowa, New Hampshire, South Carolina, and Nevada. Participants included Mike Huckabee, LA Governor Bobby Jindal, TX Governor Rick Perry, TX Senator Ted Cruz, KY Senator Rand Paul, and FL Senator Marco Rubio. On May 3, 2016, Donald J. Trump clinched the Republican nomination with his victory in the Indiana primary. 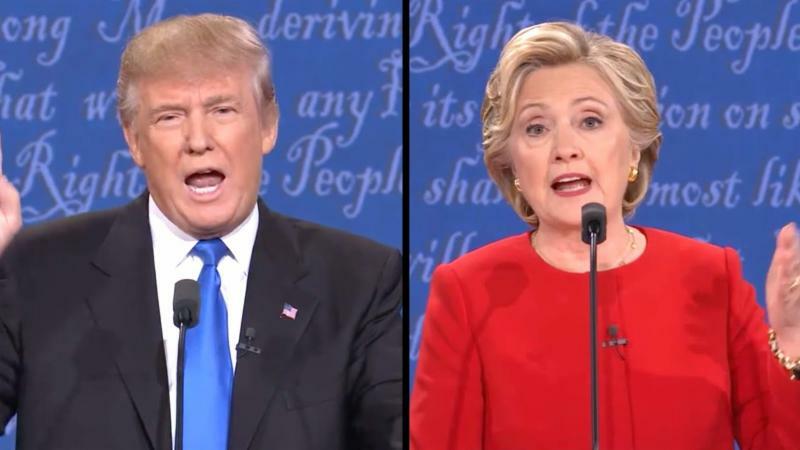 The race to become the next president was down to Hillary Rodham Clinton and Donald J. Trump. “What and how will Mr. Trump do? I don’t have a clue. • Standing up for the unborn. • Appointing conservative jurists to the Supreme Court and federal appeals courts. • Reinstating the Mexico City Policy [policy blocking U.S. federal funding for non-governmental organizations that provide abortion counselling or referrals, advocate to decriminalize abortion or expand abortion services]. • Rescinding the Johnson Amendment by Executive Order. • Commitment to sign the Pain-Capable Unborn Child Protection Act. • Opening the U.S. Embassy in Jerusalem. “Today, we finally acknowledge the obvious: that Jerusalem is Israel’s capital,” Trump said. Many promised for nearly three decades, only Donald Trump kept his word. Last week we discussed how Cardinal Karol Wojtyla – who later became Pope John Paul II – and Father Frank Blachnicki established a youth ministry in Poland to renew the Polish church. They did this through spiritual mobilization in the fight against communism. Their Oasis movement was created to counter Soviet ‘propagandizement’ of Polish youth by USSR Young Pioneer camps. An estimated ten million children had passed through 40,000 pioneer camps across the USSR during the 1960s and 1970s. (1) This was ‘evangelization’ and indoctrination by a pagan, communistic godless religion. Contrast this to the Oasis alumni, who took vows to live ethical lifestyles of spiritual dissent in the face of a hostile communistic system. It is evidently high time for an ‘ Oasis movement ’ for America’s youth. We need a movement that will expel pagan Secularism, presently entrenched as gospel, from public education and America’s cultural mountains of influence. This would be a miracle of similar magnitude to Joshua commanding the sun to stand still. The phrase “passes by unnoticed” leads us to Proverbs 8:10: “Receive my instruction, and not silver; and knowledge rather than choice gold.” If riches are esteemed and desired over Wisdom, she quietly withdraws, without a commotion. Even a cursory glance at our culture will show that God has withdrawn His hand from secularized, public education. Wisdom’s absence is unmistakable. As long as pagan Secularism controls America’s cultural mountains of influence – public education, academia, newsrooms, sports, the courts, big business, Hollywood, medicine – we are going downhill as a nation. Each passing day it becomes clearer that Christians have neglected their duty over the last three-quarters of a century. Christians have treated the conflict between the pagan religion of Secularism and the Biblical God Jehovah casually, as just another passing fancy. Yet, on the contrary, this is war. We Christians must now make the fullest possible use of all means at our disposal to dislodge Secularism from the public square and the culture if America is to survive. This spiritual war calls for persistent vigilance together with action.